Here is a List Of 26 Best Free CR2 Viewer Software For Windows. CR2 files are uncompressed raw image data captured by Canon Digital cameras. These files are quite large and based on TIFF specification. These files are of extremely high quality and very few programs are available which can open files with .CR2 extension. This article contains a collection of such free software to view CR2 files. Windows 8 and Windows 10 have default CR2 viewer to open CR2 files, but if you want to view CR2 files on other versions, Microsoft Camera codec Pack or Canon Raw Codec Software are to be installed. Through the default viewer of Windows, you will only be able to view your files. There are no advanced options available and that is why we need the below listed CR2 reader software. 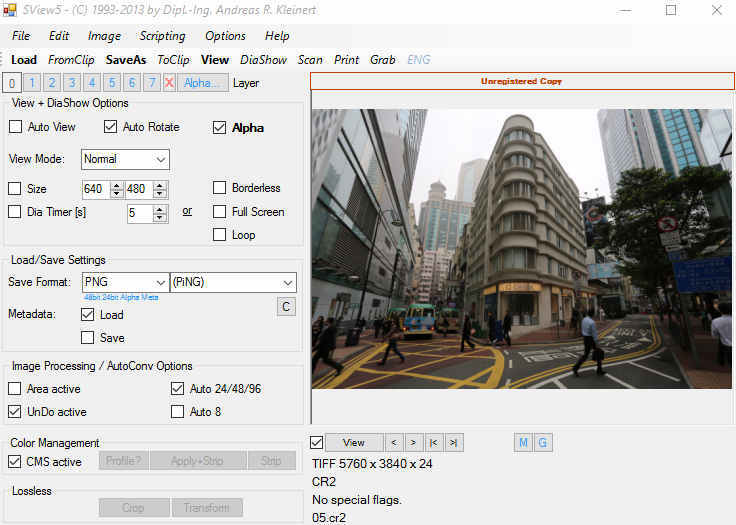 You can browse, open, view, and edit CR2 images with these software. Some software let you view EXIF information of images, like: flash, focal length, pixel dimension, file source, FNumber, resolution, model, manufacturer, etc. Some software have various editing tools to edit colors, brightness, hue, saturation, contrast, RGB colors, transparency, add text, add effects, add clip arts, add information, etc. You can also share CR2 images to various social networks such as Facebook, Flickr, Instagram, Google+, etc. If you have a collection of CR2 images and looking for a software to view these images, then you should go through this article. Read and choose the freeware you like most to view your CR2 files. Here you will know how to open CR2 files, how to view CR2 images, and how to read CR2 files. Out of all CR2 viewer software listed here, I like Fotor the most. It is a nice combination of Image Browser and Image Editor, which can open CR2 files with EXIF information. It can convert CR2 to JPG, CR2 to PNG, CR2 to BMP, and CR2 to TIFF. It has a good collection of tools to edit images by adding text, color, brightness, contrast, etc. You can also check out List of Best Free CBR Reader Software, Best Free NEF Viewer Software, and Best Free CDR Editor Software. 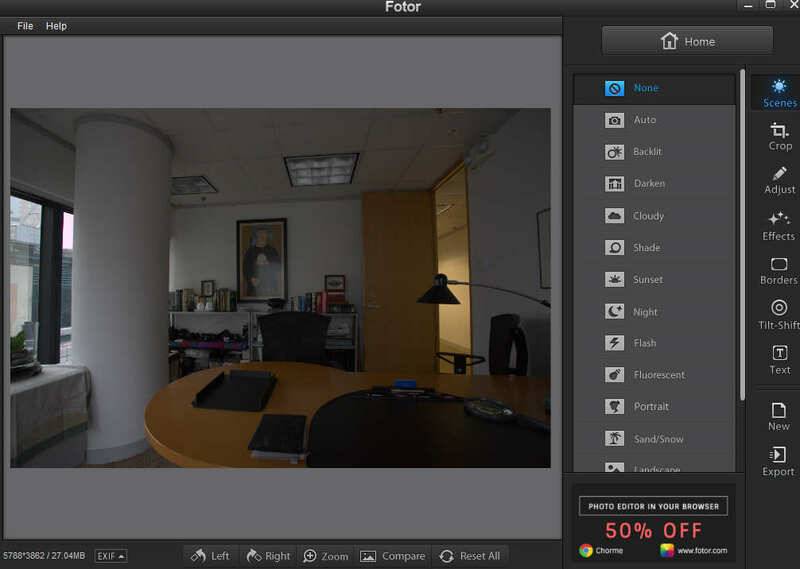 Fotor is a popular image viewer and image editor to open CR2 files. It lets you view CR2 image and its EXIF information. You can use various tools to edit color, contrast, brightness, add text, apply effects, crop, rotate, zoom, etc. It lets you use texts of various font style, font size, font colors, etc. It can save images as JPG, PNG, TIFF, and BMP of high, low, and medium quality. It opens the following formats: JPG, PNG, BMP, GIF, TIF, CRW, CR2, DNG, Sony Raw, canon Raw, Nikon Raw, Kodak Raw, etc. It is available for Mac and Windows platform. It supports Windows XP, Windows Vista, Windows 7, Windows 8, and Windows 10. 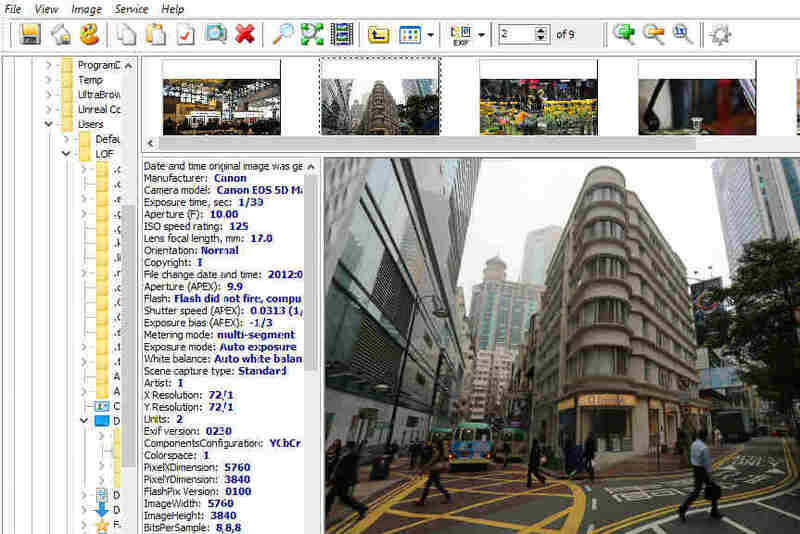 Faststone Image Viewer is a free CR2 viewer software. You can browse CR2 image from your PC and view here through File>Open. It is also an image browser, image converter, and image editor. It supports various formats, such as: BMP, GIF, JPEG, PNG, TIFF, WMF, ICO, TGA, Camera raw files, etc. You can crop, remove red eye, add effects, add watermarks, adjust colors, adjust brightness, adjust contrast, resize, etc. It displays EXIF information of raw images. It also plays slideshow of images with music tracks. You can save image as JPEG lossless format also. Different version of this CR2 viewer software support various versions of Windows, such as Windows 10, Windows 7, Windows 8, Windows Vista, etc. ExifPro Image Viewer is a free CR2 image viewer. You can view thumbnails of CR2 images when you browse folders of CR2 files. You can view images in full screen as Single panel, double panel, or Triple panel which can open single image, two images, or three images at a time. It also displays EXIF information of each image. Apart from these, Zoom, Slideshow, Crete HTML Album, Load, Save Tag, Magnify Glass, Rotate, search, add information, etc. options are available. Please note that the free version will show a dialog box to upgrade, every time you open this software. You just have to click Continue option to use the free version. Its installer package has different code version for various OS setup like Unicode for Windows NT, 2000, XP, Vista, Windows 7 and ANSI version for Windows 98/Me. 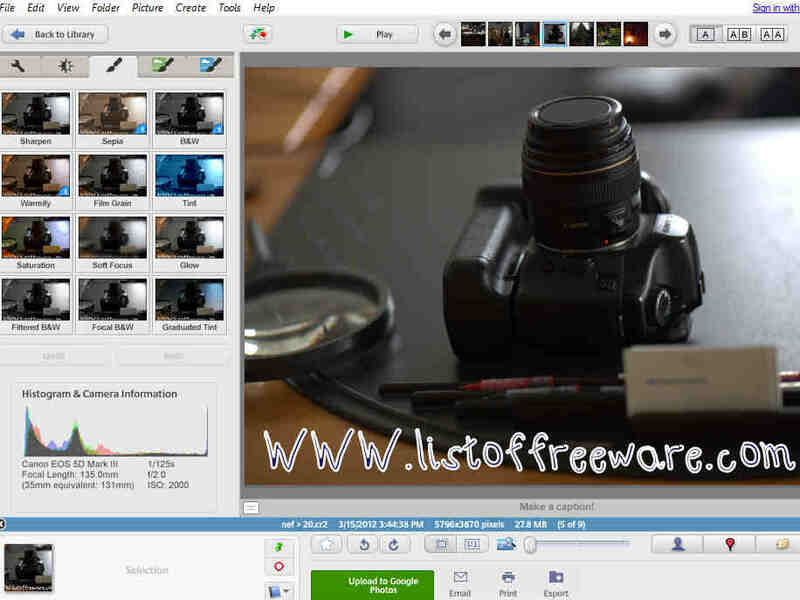 Free Photo Viewer is free CR2 viewer software. It lets you browse and open CR2 image through a directory tree. You can browse folders containing CR2 files and view thumbnails of CR2 images on upper part of the interface. Click on a thumbnail to view image with EXIF information below. Full screen option lets you view full sized image. You can also use zoom options to view clearly and use other color controlling options, like: brightness, contrast, saturation, gamma, etc. It can open images of formats JPEG, PNG, BMP, camera raw files, etc. and lets you save in JPG, BMP, GIF, PNG, and TGA formats. It easily converts CR2 to JPG, CR2 to BMP, CR2 to GIF, CR2 to PNG, and CR2 to TGA. Raw Image Viewer is a simple CR2 viewer software. You can browse to open and view any Canon Raw Camera image. It supports many other images and camera raw image formats like JPG, PNG, BMP, GIF, TIFF, etc. It can save your images as JPG, TIFF, BMP, PNG, and GIF. It has a resize option, where you can resize an image by specifying height and width dimensions. You can rotate and Zoom to view CR2 images. It is available for OS: Windows 10, Windows 8, Windows 7, Windows Vista, and Windows XP. Picasa is a free and very popular CR2 image viewer software. It adds all image of your PC automatically to its library. You just have to browse and select a CR2 image to open in the editor. You can view CR2 image, edit CR2 image, and view EXIF information of CR2 image. It has various tools to add text, apply filter effects, change color, change contrast, change brightness, crop, rotate, etc. You can create Collage, view slide show with music, print, and email any CR2 image. It can be installed on OS: Windows XP, Windows Vista, Windows 7, Windows 8, and Windows 10. 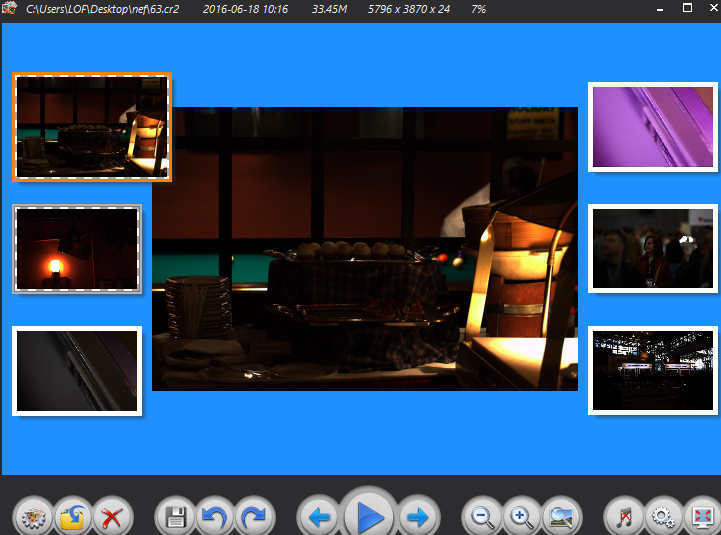 Photivo is a free cross platform CR2 file viewer software. It is available for Windows, Mac OSX, and Linux. You can browse folders of CR2 images through File manager and view them in this CR2 viewer. It has a simple user interface with few editing options, like: white balance, Crop, texture, vignette, rotation tools, etc. You can resize photos using various dimensions and you can set any image as wallpaper. IrfanView is a free and popular image editor software and can also open files with .CR2 extension. You just have to download and install plugins to open CR2 files, because it simply cannot open CR2 images. First, install format plugins to open CR2 images in Irfan View. You just have to install this plugin and restart the program. This plugin gets automatically installed in the Plugins directory. Now, you can easily browse, view, and edit CR2 in IrfanView. Chasys Draw IES is a freeware to open CR2 file. Actually, it is an image processing software. It is a nice combination of Image Viewer, Image Browser, and Image Editor. This CR2 viewer lets you open, edit, rotate, zoom, and view slideshow of images. If you choose the edit option, you will be directed to a new window of Chasys Draw IES Editor, where you can edit CR2 images using various tools. It lets you open a wide variety of image formats, like JPG, BMP, PNG, TIFF, GIF, etc. Picosmos Tools is another free CR2 image viewer. It is a complete suite of CR2 Image Viewer, Editor, Effect, Batch, Combine, and Split functions. You will find Browse option on the main interface, which is a CR2 viewer and lets you browse to open CR2 images. Edit images by using various options of crop, color, resize, rename, etc. Set image as wallpaper of PC. Use zoom and rotate options to view CR2 images clearly. Note: Ignore installation of third party software while installing Picosmos Tools. CoolUtils Photo Viewer is a free CR2 reader software. To open CR2 image files, browse folder of CR2 images from the Folder Tree structure. All images of selected folder will open as thumbnails, with information like File type, File size, Modify date, Resolution, F number, etc. 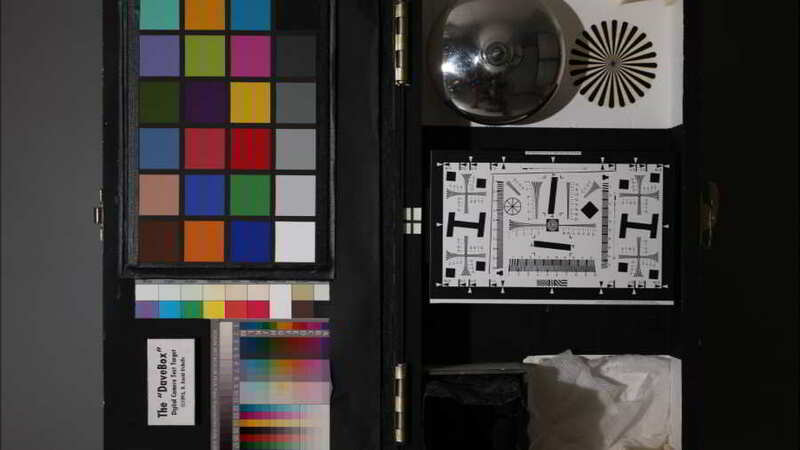 Select an image to view in full screen. Various tools to resize, rename, and slideshow are available. Images can be shared via Email, Flickr, Picasa, Facebook, and Twitter. It can open various other image formats, such as: JPEG, PNG, BMP, PCX, TIFF, TGA, ICO, etc. UFRaw is a free CR2 viewer. It is also known as Unidentified Flying Raw. You can open CR2 images, edit them, and manipulate them according to you. It also supports RAW images of other digital cameras. You can view thumbnails of CR2 images by browsing the image folder. Click twice on a Thumbnail image to view it in a bigger frame. It has some editing tools which let you edit CR2 images like brightness, contrast, resize, zoom, crop, etc. It supports various platforms, like: Windows, Linux, Debian, Fedora, Open Mamba, Nexeta OS, etc. Microsoft Photos is free and default Windows software to open CR2 file. Actually, it is an inbuilt app of Windows 8 and Windows 10. It lets you view CR2 images and lets you use many editing options. You can use zoom, slideshow, rotate, some basic fixes, filters, light balancing, color, effects, enhance, crop, straighten, red eye removal, retouch raw files, etc, options. You can also save Raw files as JPEG format, print, and share them. WildBit Viewer is one of the simplest CR2 image viewer with other basic image editing tools. There is a directory tree at the left panel to browse CR2 images. Select folder of CR2 files to open CR2 images. You can use the rotate function and set images as wallpaper. It has a Slideshow option, which lets you view slideshow of CR2 images. Some image editing tools are available, like: text, crop, resize, bump, filters, etc. It can Support image formats: nef, cr2, tiff, gif, jpg, ico, png, pdf, eps, etc. cPicture is another freeware to open and view files with .CR2 extension. Folder Tree lets you access Folder containing CR2 photos from your PC. Click on any image of the folder to view image and its EXIF information. You can preview images by any of the two Preview modes available: standard (full preview) and detailed (small preview with details). Set any image as wallpaper, print, email, rename, remove red eye, and resize images in this CR2 reader software. Convert CR2 to JPG and CR2 to BMP. You can also open NEF, CR2, JPG file formats to view in this CR2 viewer software. Sview5 is a free CR2 reader software. It can open CR2 images, many other RAW camera image files, and other common image formats. You can open any image through File>Open or Load. View option opens an image in large size screen. You can use resize, rotate, mirror, crop, sharpen, adjust depth, adjust color, apply HDR, and various other effects. Here images can be exported as JPG, PNG, TIFF, EPS, MTV, IMG, TGA, etc. file formats. XnView is a freeware to open and read CR2 files. You just have to browse the folder containing CR2 files to view them. If you want to view images in full size, then simply click on selected image. You can use Slideshow and batch rename images. It has other editing options, like convert, rotate, set as wallpaper, create web page, etc. It supports most of the image formats, such as: NEF, CR2, JPG, PNG, TIFF, ACE, BIF, EPS, GIF, ICO, IMG, K25, PDF, PIX, PPT, RAW, SVG, etc. You can use Windows Movie Maker to view CR2 files. 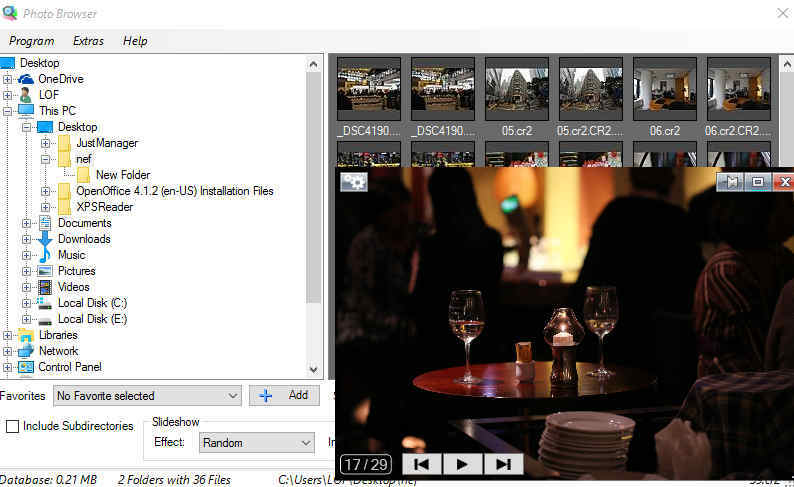 Actually, it is a movie maker software, but can open CR2 images easily. Open Movie Maker and then click on Add videos and Photos button, then select any CR2 image to view. You can also view a CR2 file in full screen for a better look. Options to rotate file, choose themes, add animation, and visual effects are also available. Create movies out of CR2 files for different devices, such as: Android phone, iPhone, computer, Windows phone, for HD display, etc. You can share your images on social media websites, like: OneDrive, Facebook, YouTube, Vimeo, etc. Free Raw Viewer is a freeware that can be used to view CR2 files. It is a minimal software to view full image, rotate, and view images as slideshow. Simply browse to the location of CR2 file and double click on the image to open and view it. Able RAWer is a free CR2 viewer. You have to browse to the folder containing CR2 files. Select an image and click on Load to open it in the view panel. You can use some editing options to edit CR2 files, like: brightness Color Adjust, Effects, Automatic Image Enhancement, Negative, etc. You can adjust brightness, contrast, RGB color, add various effects, rotate, resize, zoom, etc. It can be easily installed on Windows Me, Windows XP, Windows Vista, Windows 7, Windows 8, and Windows 10. Honeyview is a freeware to open CR2 files with some editing tools. You can browse folders and view CR2 image with its EXIF information. You will find various options as extra features, like Zoom, rotate, slideshow options, resize, bookmark, etc. You can convert any image into JPEG, PNG, BPG, BMP, and WEBP. Any image can be set as desktop wallpaper. Open Freely is a freeware to open CR2 file on your computer. You can browse, view, edit, and save CR2 image as PNG image. It displays EXIF information on the left side of the interface. You can use various tools to edit CR2 files. It can crop, resize, rotate, add effects, blur, control brightness, control contrast, add layers, displays history, add various shapes, add colors, etc. Photo Gallery is an app and a part of Windows Live Essentials. It can open CR2 files. You can view CR2 images with various options of zoom, rotate, view slideshow, view actual size of image, and fit to Window. It also has options to add tags and caption, geotag CR2 file, add descriptive tags, rate, flag, change properties, etc. It lets you edit with various editing tools, but you have to use converted JPEG formats of CR2 image. You can use auto adjust, crop, red eye removal, retouch, straighten, noise reduction, color exposure, fine tune, and add several other effects to the CR2 files. Microsoft Office can also open CR2 files. MS Word, MS PowerPoint, MS Excel, etc. let you open and view CR2 image files. You can also use some editing options. Let us see how it opens CR2 files with .CR2 extension. View CR2 image and use editing tools. You can perform various formatting operations on CR2 files, such as: add corrections, manage color, add artistic effects, compress picture, add picture border, picture effects, change picture layout, rotate, crop, etc. You can also use picture styles. It lets you add text, WordArt, tables, smart art, audio, video, etc. CR2 files can be exported in various formats, like: PNG, JPEG, PDF, XPS, and many more office formats. RawTherapee is a freeware to process especially RAW images. It supports multiple RAW formats of Digital Camera including CR2. You need to copy your CR2 image in either Pictures or Documents folders of C drive of your PC. It will automatically load and let you view RAW images on selection of specific folder. Select any image and view it with its EXIF data. This CR2 image viewer edits pictures with various image editing tools, such as: rotate, crop, transform, straighten, flip, etc. 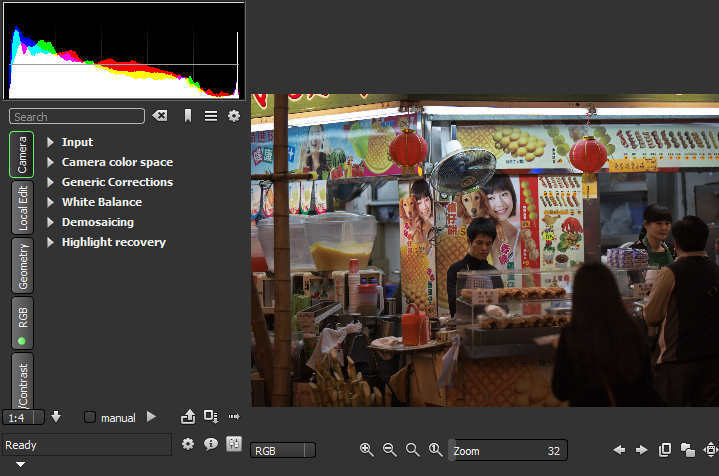 You can also use options of Exposure, Sharpness, White balance, Vibrance, Contrast, etc. It can convert CR2 to JPG, CR2 to TIFF, CR2 to PNG. It is cross-platform: Linux, Mac, or Windows. Photo Browser is a simple freeware to open CR2 files. You can browse folder containing CR2 files through right click context menu. It will display thumbnails of images and let you view images in viewer window with a single click. Edit images using various tools to Crop, tilt, control brightness, contrast, color, hue, resize, etc. Magnify images for a clear view. It is available for Windows 10, Windows 7, Windows 8, and Windows Vista.